There has been a lot of action in this heads up match, but for over an hour we hadn't seen an all in and a call. We finally broke that streak, with a short stacked Mark Dickstein taking his [As][3h] up against David Harting's [Qd][Jd]. 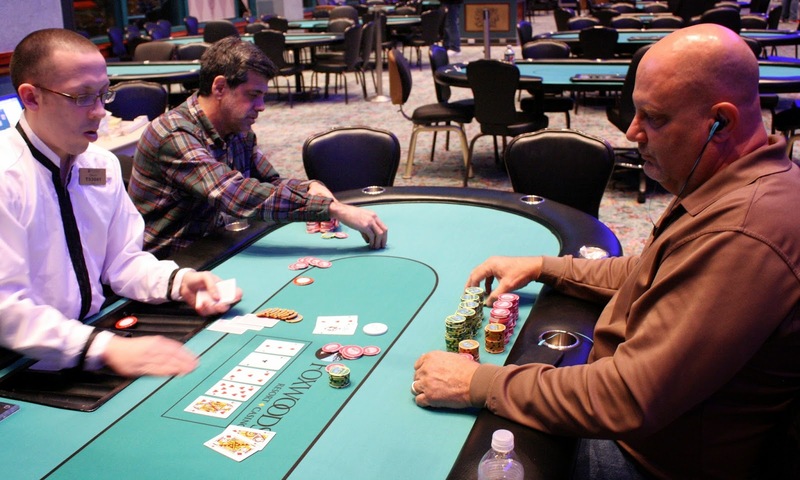 The flop fell [3d][Ac][5h], leaving David drawing to runner-runner. The [Th] turn gave David a gutshot, but the [Qh] gave him a useless pair of queens. Mark will double up to 1,200,000. 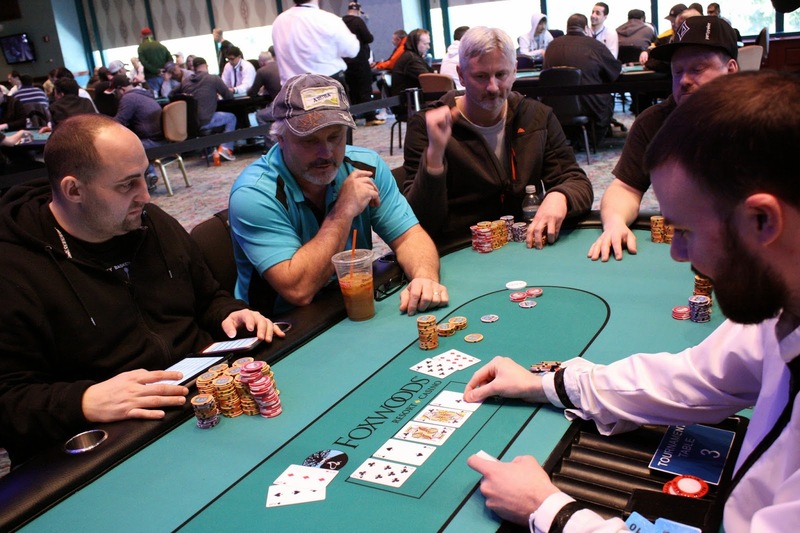 Dan Chalifour was all in preflop holding [Ac][5d] and was up against the [Ah][Jd] of David Harting. The board ran out [Qh][3c][Tc][Td][8d] and David's ace-jack high will hold up. Dan will exit this tournament in 3rd place, good for $30,000. On a [6s][9c][2h] flop, Gerald Hiller moved all in against David Harting, and David said, "I think you have me outkicked but I have to call." David's [9h][8h] was not outkicked, but Gerald was drawing live with his [7c][6d]. The [Ad] turn and [5h] river kept David's pair of nines in front, and Gerald will be eliminated in 4th place. He will earn $25,000 for his efforts. 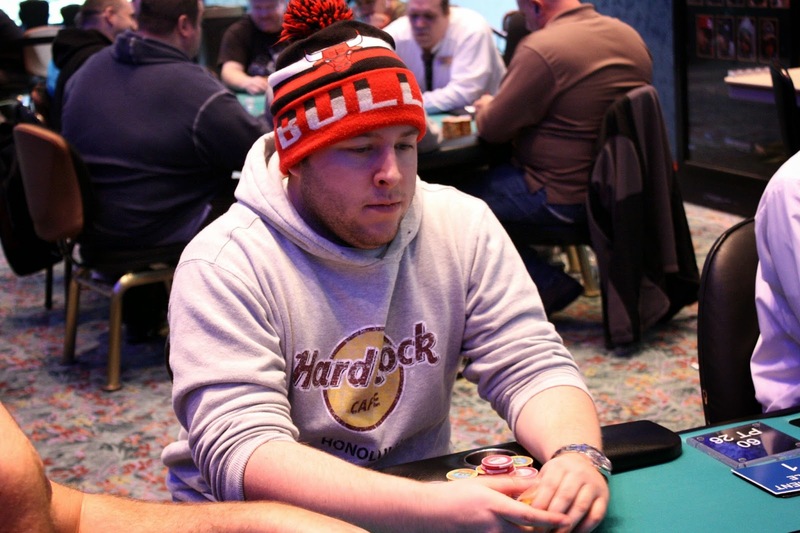 On a [Js][6h][2s][9d] board, David Harting moved all in over the top of Gerald Hiller's bet. Gerald went into the tank and eventually made the call, holding pocket eights. Unfortunately for him, he was drawing dead as David had already turned a set of nines. The meaningless river hit, and now David sits on 1,500,000. 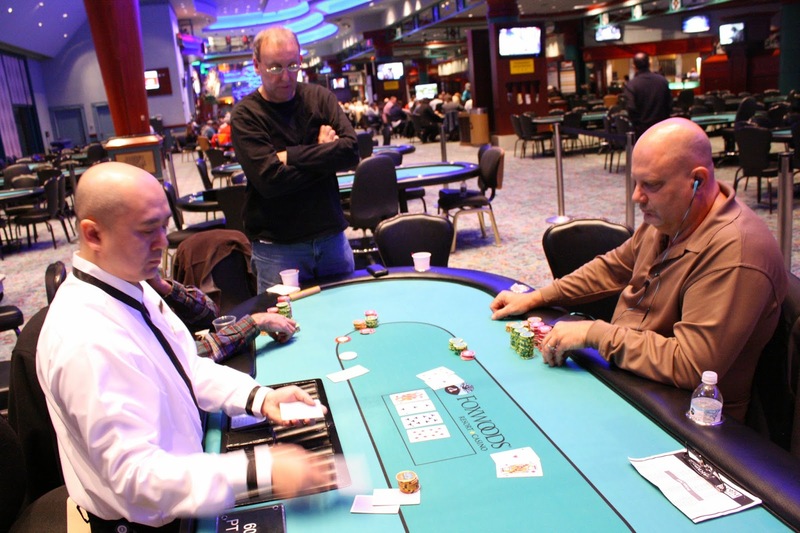 At 6,000/12,000 blinds, James Campbell raised under the gun to 26,000 and Gerald Hillard reraised to 121,000 from the small blind. James responded with a 4-bet shove, and Gerald hesitantly made the call. It was a flip and we weren't sure who's tournament life was at stake, yet. The dealer fanned the [4d][5d][2s] flopped, and placed the [4s] on the turn. James half-heartedly asked for an ace on the river, but the dealer did not oblige, instead delivering the [7c]. 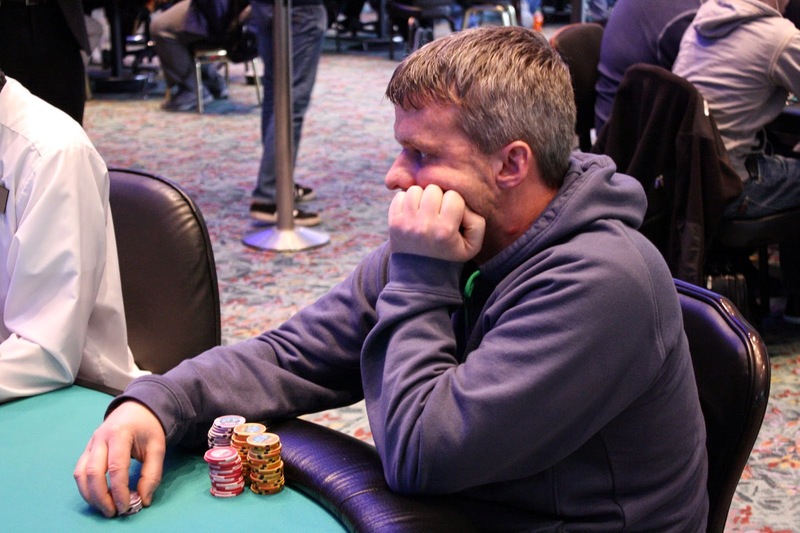 The stacks were counted down, and Gerald had James outchipped, so he will be our 5th place finisher. James will earn $13,596 for his efforts. 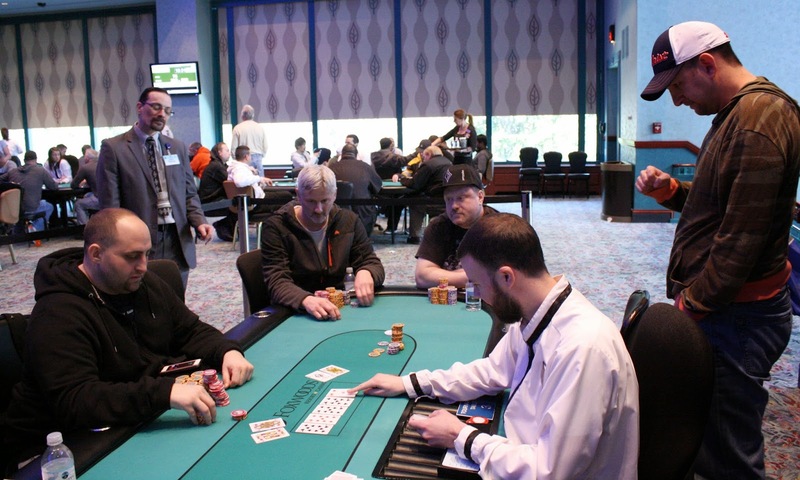 Only 5 players remain in Event #11 $1,650 NLH. Here are their updated chip counts as they go on their one hour dinner break. Play resumes at 7pm EST. 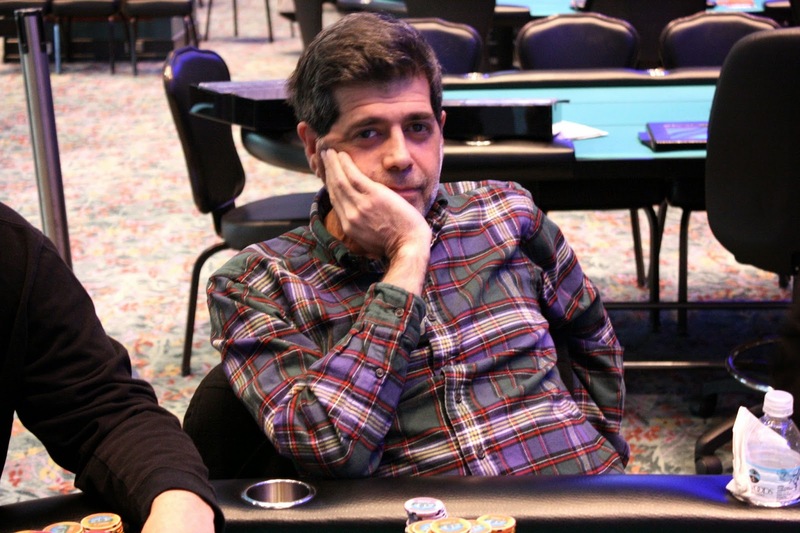 At 5,000/10,000 blinds, Mike Hollenberg was all in preflop for 162,000 and was called by Mark Dickstein. Right behind him, Dan Chalifour moved all in over the top, having Mark covered. Action folded back to Mark, who called and proudly flipped over [As][Ac]. It was a cooler as Dan held [Kd][Kc] and meanwhile Mike had [7s][7h]. 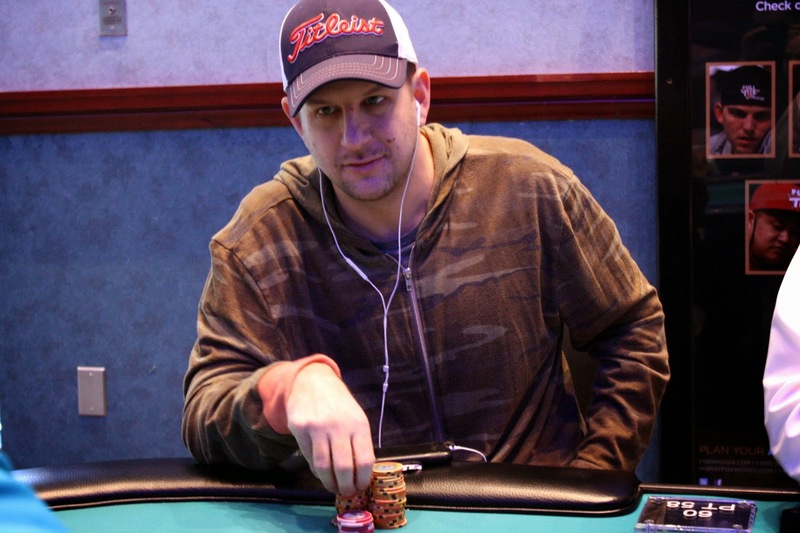 No one hit a set on the [Jc][5d][Th][8s][Qc] board, and Mike will be eliminated in 6th place, good for $11,046. Mark's stack was counted down to 579,000, so he will more than double up, while Dan will be knocked down to 444,000. 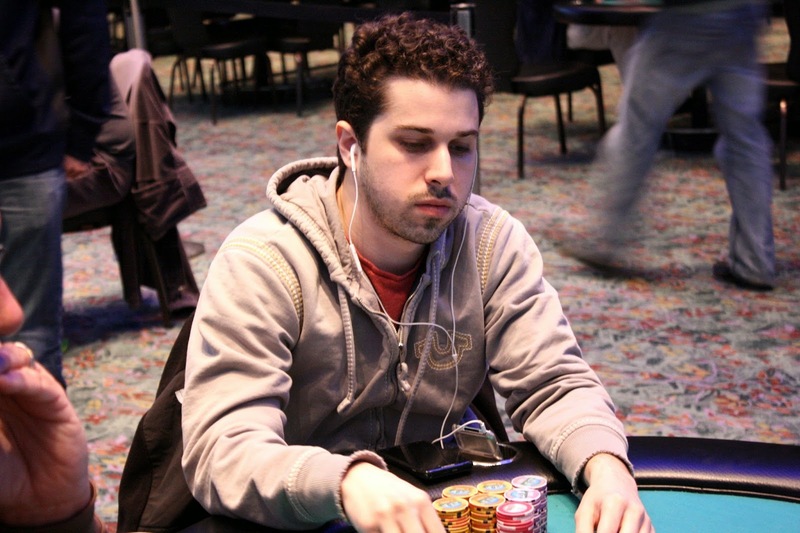 Julian Sacks raised preflop and was called in two spots. The [4s][4c][Ac] flop saw Gerald Hillard check call Julian's continuation bet to see a [6s] turn. Gerald now elected to bet out a stack of red, 100,000. With a sigh, Julian put his last 130,000 in the pot, which was quickly called. Julian held [Ad][Jc] for top pair, but Gerald had outflopped him with [4d][2h]. 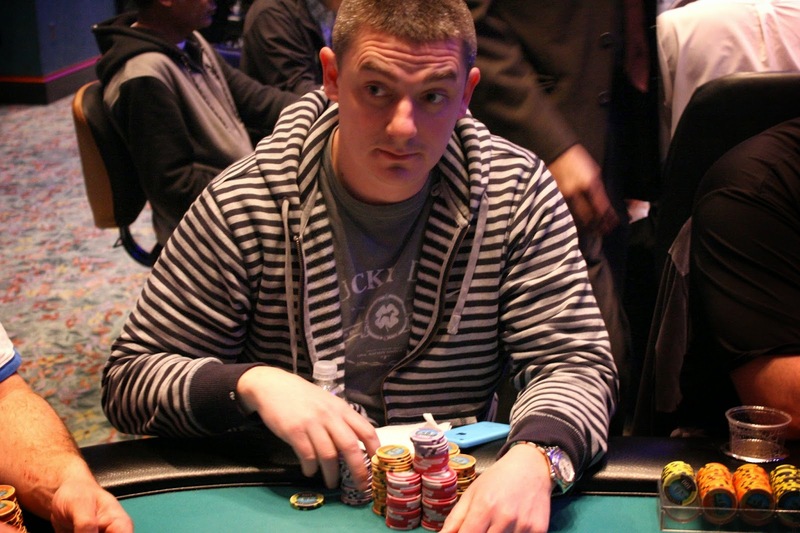 No miracle ace hit the river, and Julian will be eliminated in 7th place for $8,922. On a river reading [2s][Th][9c][3s][Jd], Ed O'Connell was all in with jack ten, good for top two pair. Unfortunately for him, Dan Chalifour rivered the nuts with [Kh][Qh]. Ed will be eliminated in 8th place, good for $7,223. At 4,000/8,000 blinds, James Campbell opened to 20,000 under the gun and was called by Ross Mallor in middle position and one other player. James bet 33,000 on the [6s][6h][5s] flop, and Ross moved all in for 165,000. Action folded back to James, who took off his headphones to evaluate the situation. He eventually called, tabling [Js][Jd] which was behind Ross's [Ad][Ac]. The [Qs] gave James a backdoor flush draw to go with his preexisting two outs, and the [7s] fell to complete that flush. Ross came around the table to get a better look at the board, not believing he was eliminated in 9th place. James could only offer him the conciliation, "Sorry, I'm the worst." Ross will earn $5,739 for his efforts. Matthes Silberzweig has been eliminated when [Jc][Tc] failed to improve against his opponent's [As][Jh]. 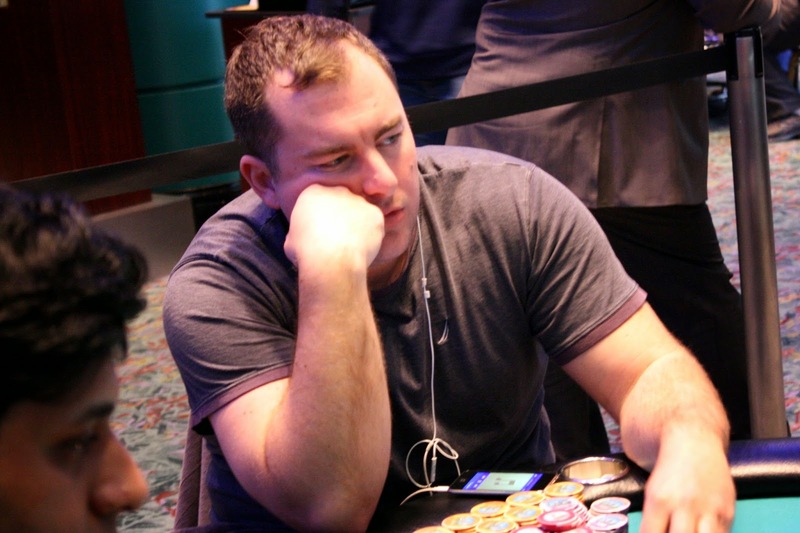 The board ran out [8d][Ah][5s][6s][7d] to send Matthes to the rail in 10th place, good for $4,036. 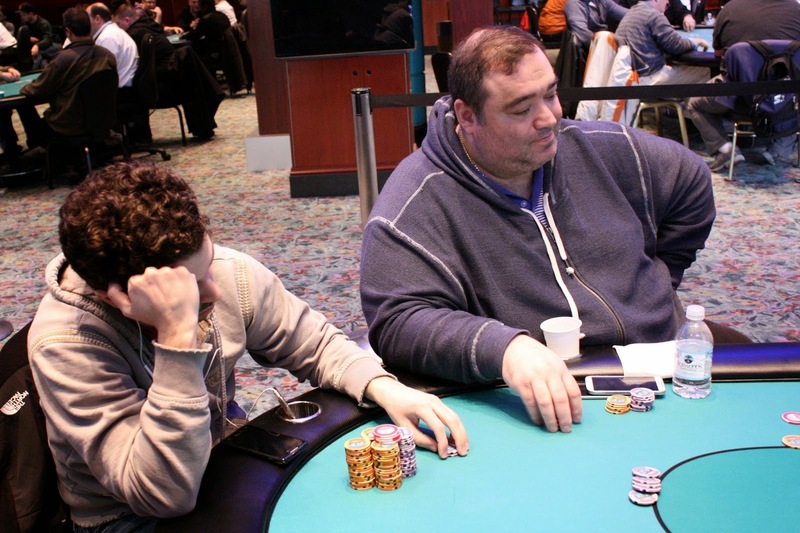 On a J-J-2 flop, Jay Kovoor-Chathoth was all in holding A-Q and was drawing very thin against Mark Dickstein's K-J. 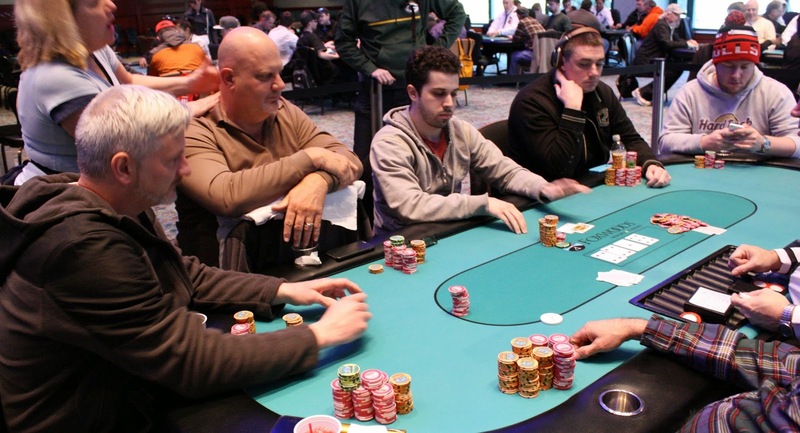 No miracle runner-runner came to save Jay's tournament life, eliminating him in 12th place. He will earn $4,036 for his efforts. Konstantinos Katikakis was all in holding [Ac][Js] against Julian Sacks who held [Jc][2c]. 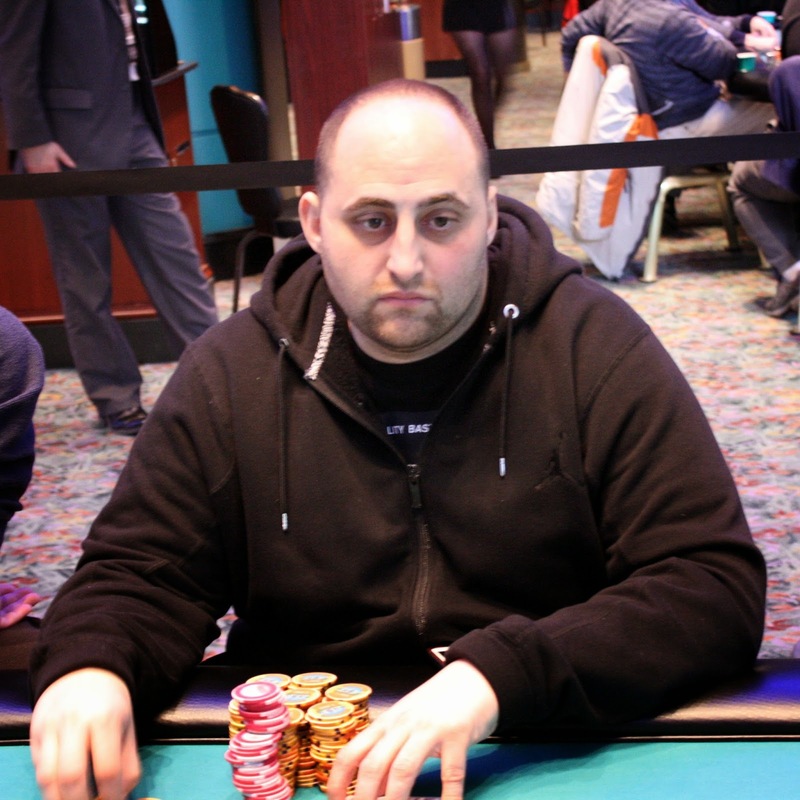 Konstantinos was in great shape to double up until the flop fell [2h][Qd][Ks]. Julian had outflopped him with a pair of deuces, but Konstantinos still had seven outs to win. The turn fell [3s], and the river fell [9h], and the pair of deuces would hold up. 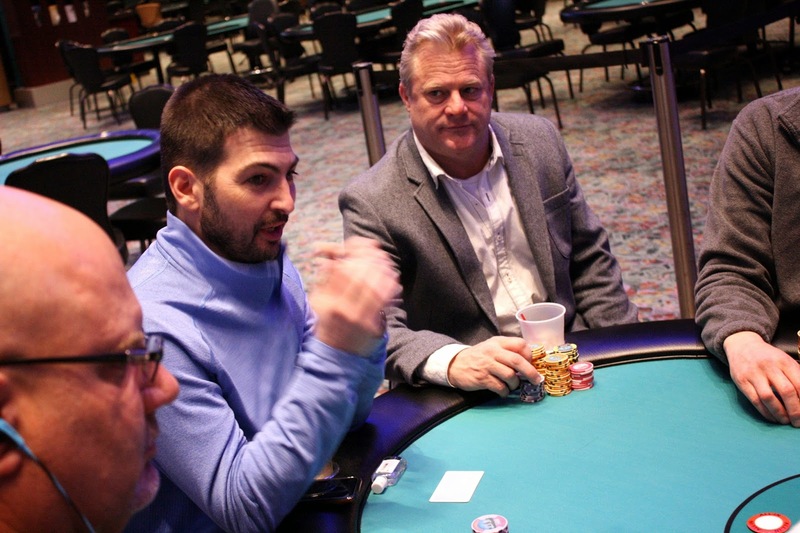 Konstantinos will earn $3,611 for his 13th place finish here today. The board ran out a pure [Ts][9d][9s][9c][5h], and ace high will be the best hand. Ross will double up to 97,000. 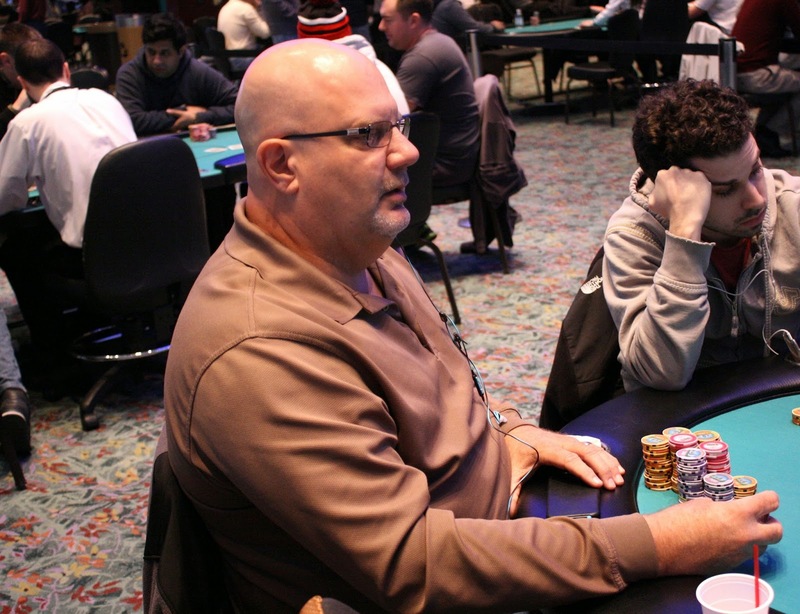 At 2,500/5,000 blinds, Mike Nye was all in preflop for 30,500 holding [3s][3d] and was called by Gerald Hillard holding [9d][8c]. The [7c][2s][Kc] was safe for Mike, but the [Qc] turn opened up a slew of outs for Gerald. 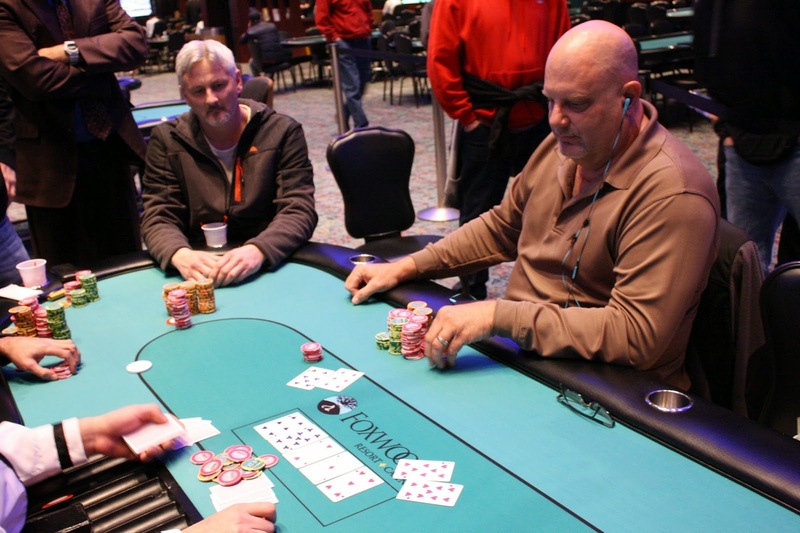 Much to Mike's chagrin, the river landed [Ac], giving Gerald the winning flush. 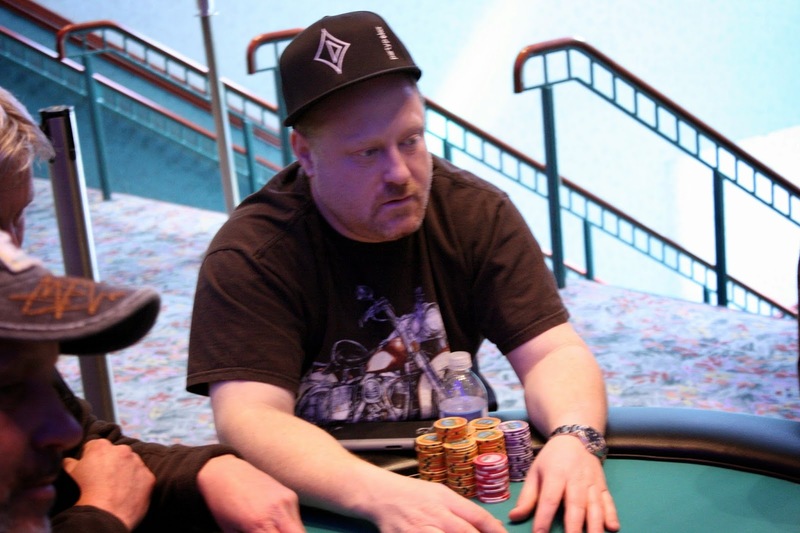 Mike will be eliminated in 14th place, good for $3,611. Aaron Loew was all in preflop holding [Qs][Js] and was racing against his opponent's pocket tens. 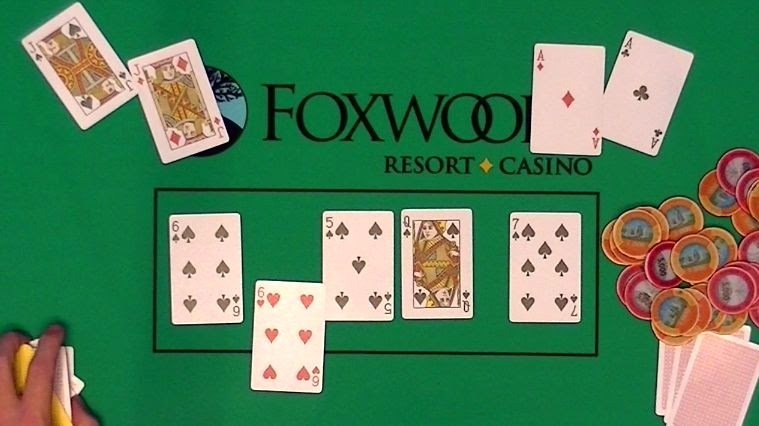 The J-5-5 flop put Aaron in front, but a ten spiked on the turn to give his opponent a full house. No jack came on the river, and Aaron will exit this tournament in 15th place, good for $3,611. Jimmy Nunez was all in preflop and was called by two players. The two live players checked down a board reading [9d][Ks][2s][9c][7c]. 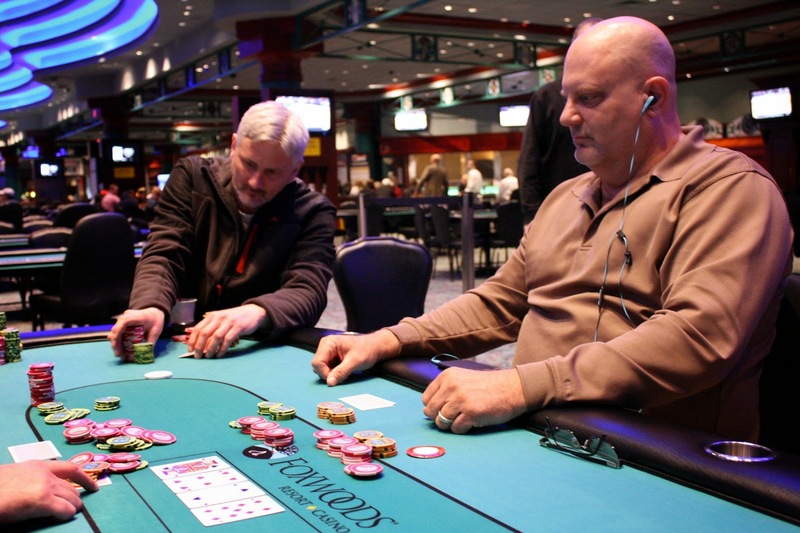 Gerald Hillard went all in on the river and induced a fold, leaving the two heads up. Gerald showed pocket sevens for a rivered full house, and Jimmy tabled pocket tens, exclaiming he couldn't believe he was ahead preflop. Jimmy will earn $3,398 for his 17th place finish today. 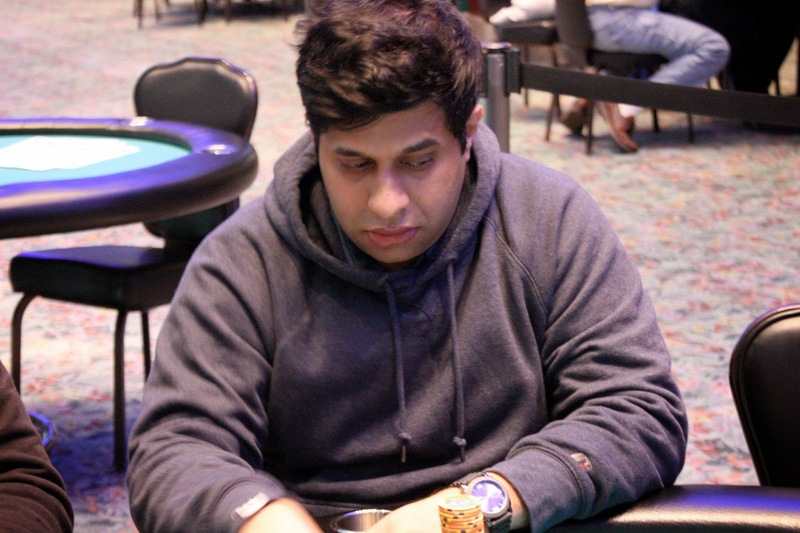 Jayme Parro has been eliminated when his ace-four ran into his opponent's pocket aces. The [Ts][Qd][2c][Qs][Qc] board was no help for Jayme, and will will exit this tournament in 18th place, good for $3,398. With a double elimination to bring us from 20 players down to 18, Event #11 $1,650 NLH is now in the money. 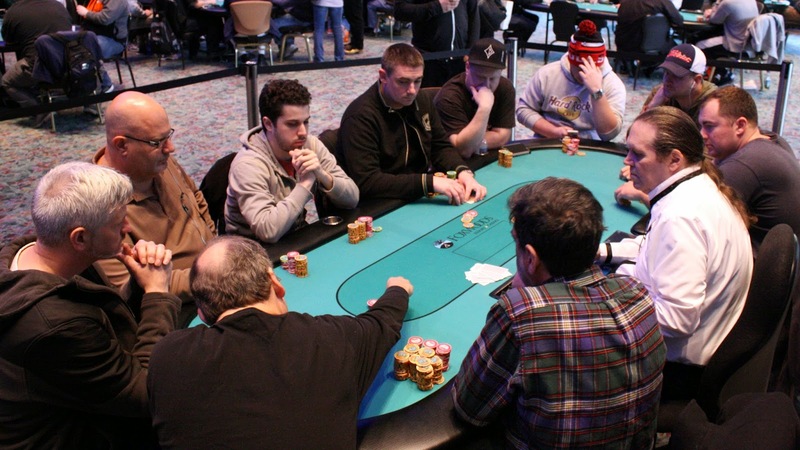 The final 18 players are now redrawing for seats at the final 2 tables. We will be updating names and chip counts shortly. Event #11 $1,650 NLH Day 1 began the day with 29 players, and 8 minutes in to the day and we've already lost 2. A table is being broken and we are down to the final 27 players. When we reach the final 18 players, there will be a complete redraw. Registration and Re-entries will remain open through the end of the 6th level. This event will play 6 Handed. Final table will play 7 Handed. Registration will be open through the end of the 3rd level. A 4 way deal was made in Event #10 $300 Ladies. Jamie Scott would earn $5,300 while Francine Lee, Catherine Connaughton, and Lona Rubenstein would all take home $4,215. The four played on for the trophy and the title, and it is now heads up between Jamie and Catherine. 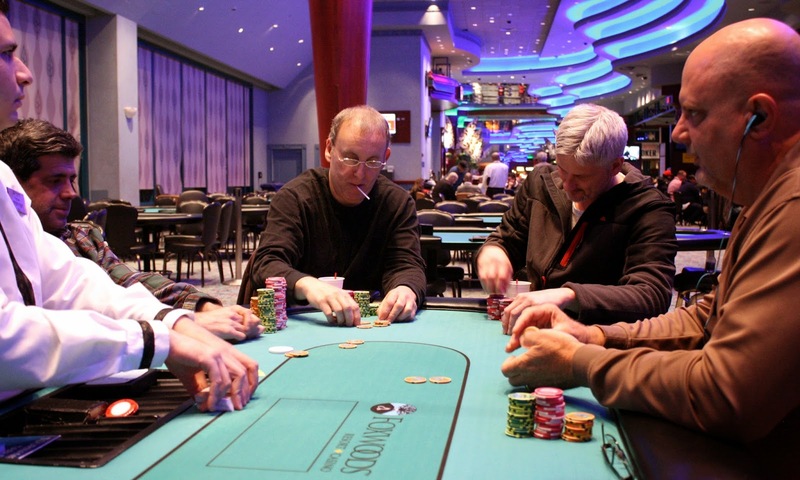 With 32 remaining players it has been announced that four more hands will be played before the survivors will bag up their chips for the night. Play will resume at 12pm EST and will continue until we have a winner. Chip counts and seating assignments will be posted shortly. From under the gun, Steve Happas moved all in and was called in two spots. The dealer spread the [Qc][As][Jc] flop, and his first opponent bet the other out of the pot. Steve received the bad news that his [Ah][Ks] had been outflopped by [Ad][Qd], but he still had seven outs to survive and triple up. The [2c] turn changed nothing, and the [2s] river meant Steve would be eliminated in the last level of Day 1.